Safe tummy time solutions, and how to help your baby enjoy crucial tummy time in a variety of ways. At Home activity, Less than 5 minutes. Suitable from birth to two years old. Best with just a single child, Parent participation required. This activity was created by GoGo Babies who is a Licensed Therapist. 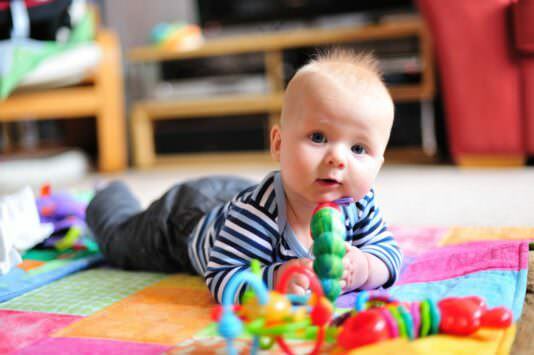 In this guide you will find everything you need to know about Tummy Time, with lots of practical advise and fun Tummy Time Activities to do at home.